Styles of jewelry come and go. The large chains of the late 90's and early aughts are quite simply no longer the go to jewelry choices of the elite. These days people take a more subtle approach to the gold they wear. They wear smaller tennis style bracelets and chains that do not guarantee neck problems. The bling bling era may not be over but it has slowed it's roll quite a bit. As a result some folks likely have some fairly weighty jewelry on their hands. Jewelry that they would be unlikely to wear out to the club or the street these days. 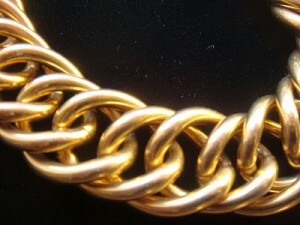 Luckily New York gold buying is not about the style of the chain you are selling it is simply about the weight. These old blinged out necklaces and braces are probably a better investment than anyone thought. 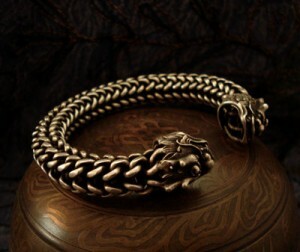 These weighty pieces of jewelry are actually quite impressive even with recent lulls in the gold market. Given that each piece weighs way more than the older jewelry pieces folks tend to find in their attics when you sell this kind of gold in New York these days  you are likely to walk away a happy person with a lot of scratch in your pockets. I often find myself in the company of my father watching episodes of PBS's Antiques Roadshow. I am not a huge fan of the show as the temporal nature of ownership tends to make me value things a little differently. Still it is often impressive to me when people get rich off of old wooden chairs and ratty looking children's toys. Whenever someone brings on a piece of gold or silver jewelry, or really any item with silver, gold or another precious metal, I am quite curious as to how things will turn out. It seems that half the time the item is worth a heap of money. A certain designer is responsible for it or it has some sort of historical context. Then there are those other times when someone shows up with a "priceless" necklace or broach from great-grandma's old jewelry box. It seems to be a heavy silver or gold but the person inevitably thinks the priceless value is in it's history or it's make-up. When it is appraised it turns out it is worth only whatever the weight of materials used to make it. Lucky for these people there is a great market for selling gold in NYC to consider. NYC gold buyers are not precious about who made it they just want that gold. 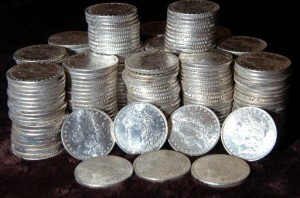 Now is a great time to stock up on gold and silver coins from the United States Mint. These coins are currently going down in price and sales, and as a result the collectors might be wise to jump on the dipped prices. These people who buy and sell gold in NYC know a thing or two about buying when prices are low and holding out for a better market to make a bunch of money when prices hit their highs again. Selling and buying gold in New York can be an incredibly lucrative business to get involved in. This is the sort of thing that does not stop being lucrative or worthwhile just because prices go up and down. These coins that the United States' Mint makes are a great example of an item that has a great resell value and that resell value often climbs as time marches on. So when you see prices in the market going up and down for silver and gold do not take that as a tell-all sign that the market is in trouble. These ebbs and flows are just a part of the business and offer a fantastic opportunity for a wide array of people to get in on the market when things are selling low. Once again the bouncing up and down of gold and the dollar is in gold's favor. The seemingly perpetual shifting in gold and other commodities prices against the dollar is a perpetual mystery. Certainly there are many people who posit their predictions of where each of these things will land next but it is hardly an exact science. The shift back in gold's favor will likely assuage some of the fears of gold buyers in nyc not to mention people hoping to sell gold nyc. Of course for most of the people working in that field on a regular basis things already seem pretty sound. In fact, gold sellers and buyers have a fairly resolute confidence in their decisions to invest in gold because time has always been rather kind to such investments. It isn't that there is no uncertainty but given the other investment opportunities in the world it has always seemed far more sound and reliable. These days people have lost money in stocks and housing, things financial advisers still to this day consider integral parts of a well rounded financial portfolio. Gold buyers and even many gold sellers on the other hand have remained fairly comfortable even with all of the turmoil. Humans are intrinsically interested in the shiny veneer of  gold. Whether in bricks, nuggets or well designed and wearable jewelry, there is a part of our psyche that sees the sparkly element as implicitly valuable. As humans we get to define how valuable things are and for one reason or another, be it scarcity, usefulness or something far more primal, we humans are passionate about gold. Gold buyers NYC are a great way to take the temperature of mankind when it comes to our collective love affair with gold. You see a sense that gold is not only a driver economically but also a driver of people's passion. There is no other explanation for the folks who have excess jewelry that they are looking to sell. People do not just end up having gold, or if they do it is as a result of someone else's gold passion. 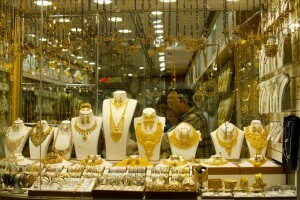 Selling gold in NYC is usually not the result of someone souring on the beaming pride they get from gold in general. It is usually more of practical concerns getting in the way of their passionate interest in gold. 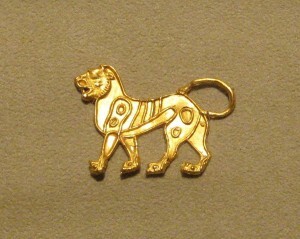 Cultivating a collection of gold is not only about buying, sometimes it is about selling. Those who understand gold beyond their passion know this. 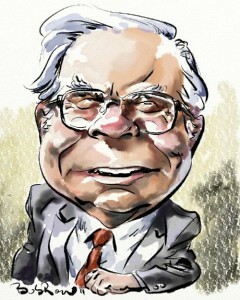 [title] => Warren Buffet Selling Gold? In the past few years millionaire Warren Buffet has seemed more and more willing to get into the political fray. Whether making comments about his versus his secretary's tax rate or discussing the government bailouts that may or may not have saved the economy from going off a cliff a few years ago Buffet is not shy. He has recently begun making statements declaring that over the long term stocks or investments in so called "productive" assets would out perform gold, silver and any other asset that is simply a physical embodiment of  your cash worth. This is not a terribly controversial statement but what is controversial is that Buffet suggested that over the long term investment in stocks could actually be safer. This runs counter to what NYC gold buyers and even some folks looking to sell gold ny have thought for decades. Of course hedging your bets by selling some of that left over gold to reinvest in stocks might be the actual safest bet of all. The security of investing in gold has long been one of it's major selling points. The fear that the gold market has become somewhat unruly has lead some very smart people like Buffet to question it's sustainability. At this point though, an investment in gold can still pay out quite handsomely. Humans are intrinsically interested in the shiny veneer of gold. Whether in bricks, nuggets or well designed and wearable jewelry, there is a part of our psyche that sees the sparkly element as implicitly valuable. As humans we get to define how valuable things are and for one reason or another, be it scarcity, usefulness or something far more primal, we humans are passionate about gold. In the past few years millionaire Warren Buffet has seemed more and more willing to get into the political fray. Whether making comments about his versus his secretary's tax rate or discussing the government bailouts that may or may not have saved the economy from going off a cliff a few years ago Buffet is not shy. He has recently begun making statements declaring that over the long term stocks or investments in so called "productive" assets would out perform gold, silver and any other asset that is simply a physical embodiment of your cash worth.